← Blake Griffin Rookie Card! Cheap! 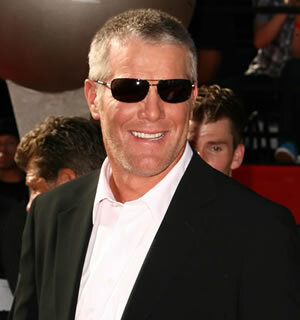 Brett Favre: Dancing With the Stars? "What? You don't think I'm ready for Hollywood?" Brett. C’mon man… what are you doing? 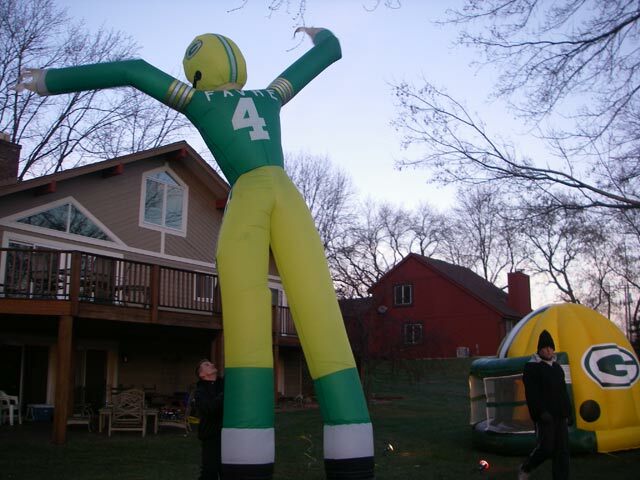 So, I have no clue if this has any legitimacy to the story at all, but Terez Owens is reporting that Brett Favre is going to join “Dancing With The Stars” starting next month. Damnit, Brett, knock it off. Don’t do it. I know DTWS is insanely popular with chicks, but guess what, I don’t think it’s going to repair your image after allegedly dropping sext dong bombs over the country of Sterger. If nothing else, give it a few years… drive around on the tractor and coach high school football, let things settle… then do it. Hell, spend some time practicing if you’re gonna go on the show… because so far, here’s the only evidence we have of you dancing. This entry was posted in Football, NFL, Sports and tagged Brett Favre, Dancing With the Stars, DWTS, Jenn Sterger, Packers, Terez Owens, Vikings. Bookmark the permalink.